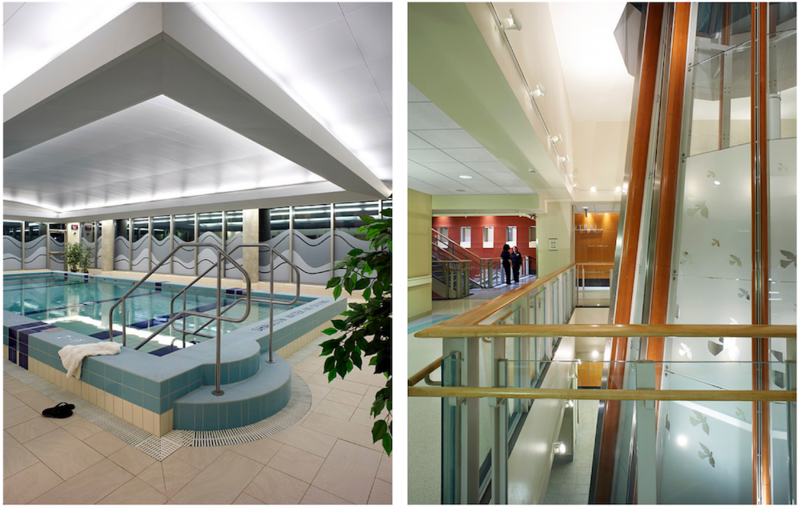 This week, as part of our Architectural Blog Series, we’re highlighting the major redevelopment completed by our team at Southlake Regional Health Centre in Newmarket, Ontario. Southlake Regional Health Centre has been serving its community since 1922, when it was founded as York County Hospital. New buildings were added over several decades to meet the needs of a growing community. 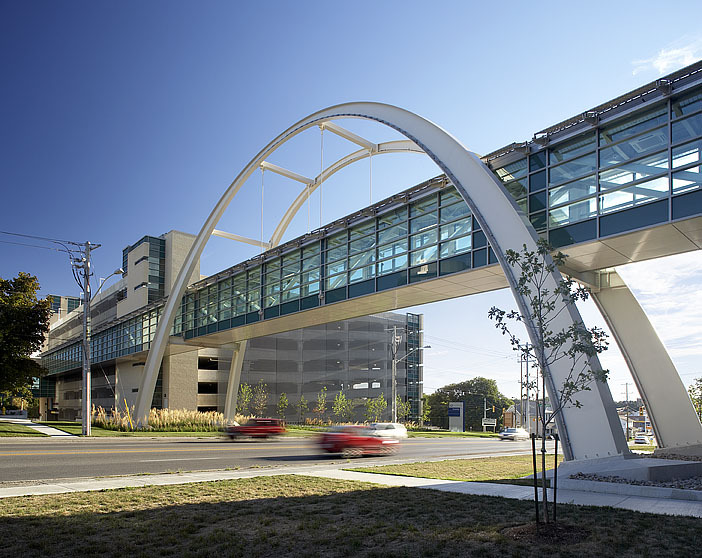 The older buildings proved unable to meet emerging infrastructural requirements for new health care technology and delivery models, as well as life safety and building energy efficiency codes. To meet these demands, Parkin designed a sophisticated campus transformation that included a new high rise tower, a complete gut of the existing 1956 tower and extensive renovations of the 1972 East wing. Over the ensuing years, the Ontario government identified Southlake for redevelopment and selected the hospital to become a regional cardiac and cancer centre. Substantial improvements were necessary to support the hospital’s evolution. Throughout the project, our team’s objective was to enhance patient care and maximize the efficiency of service delivery. The three oldest buildings at Southlake were demolished, while renovation efforts focused on the two most recently built facilities. Located some distance apart, the two remaining structures were seamlessly integrated by the addition of a new 232,000 gross square-foot infill building designed by our team of architects. Attention was then shifted to where to locate departments and how the various areas fit best into the patient-care process. 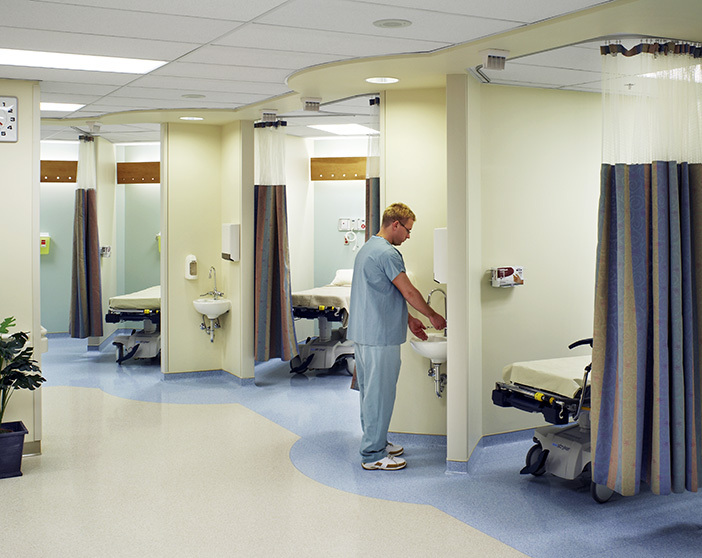 The emergency room, intensive care unit, surgical suites and diagnostics area – previously on various levels and in different buildings – were grouped together to minimize travel distances for patients and staff. We then integrated clear, colour-coded, interior design features that easily direct public, staff and service traffic to desired locations with minimum confusion and congestion. 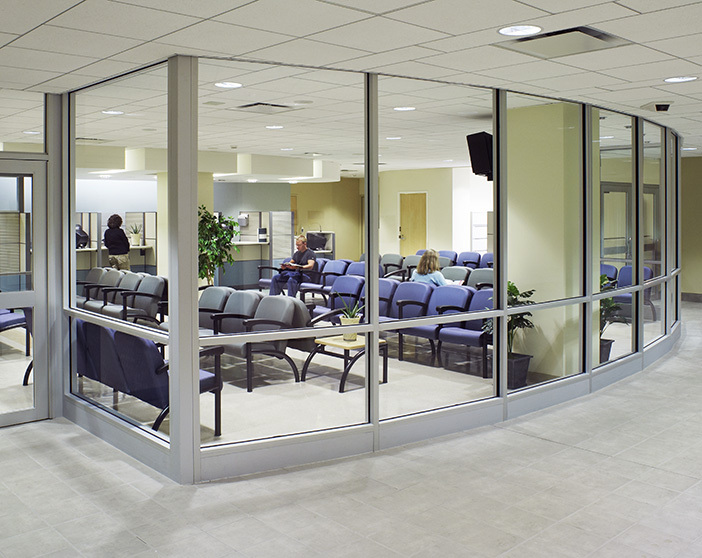 Our team incorporated spacious and comfortable patient accommodations, using natural light to aid in the healing process. Designs for the state-of-the-art, regional cardiac centre included a cardiac care unit, cardiac diagnostics, cardiac operating rooms, cardiovascular intensive care unit, cardiac catheterization suite, cardiac and cardiovascular beds and a cardiac rehabilitation gym. Our next project in the series will focus on the replacement of York Regional Police Division 2 Headquarters. Stay tuned!